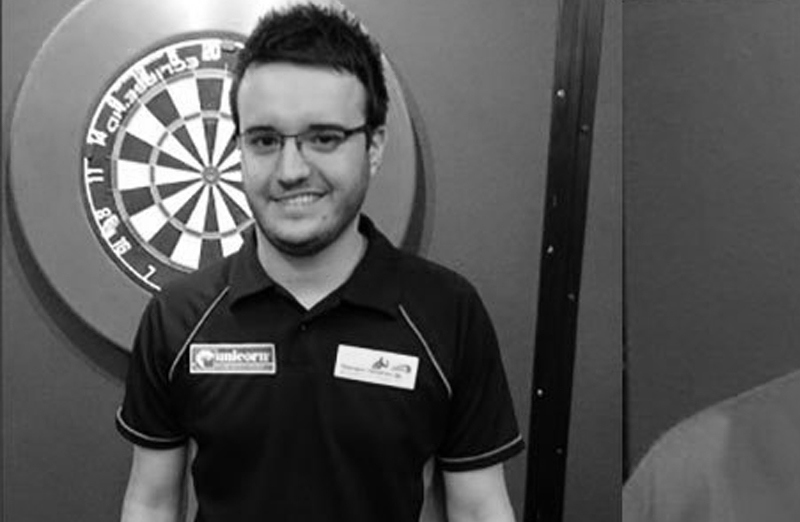 Adam Hunt’s signing to Team Unicorn is significant in two ways; not only is one of the UK’s leading young players joining the Big Name in Darts, but it also extends the close bond between Unicorn and Tommy Gilmour, the Scottish promoter, because the whole of ‘Team Gilmour’ is now onboard at Team Unicorn! Double World Champion Gary Anderson was the start of the partnership, followed by Michael Smith and now Adam Hunt joins the ranks together with his friend Chris Dobey …..and of course having Anderson as a mentor will make a massive difference. “Believe me when I say, Chris and Adam are both capable of making a big impression. The link up with Unicorn will help that process. They are both cracking players and cracking lads and deserve all the success that is going to come their way,” said Anderson. Hunt had a cracking year on the PDC Development Tour. The 24-year-old from Chester-Le-Street won one tournament, reached the final of another event, as well as two quarter-final appearances. He is currently in 3rd place on the Development Tour Order of Merit. In the past, he has won tournaments on the PDC Youth and Challenge Tours and the tie-up with Team Unicorn is bound to take his career to the next level. Now he has all the tools and help at his disposal….expect big things from Adam Hunt.